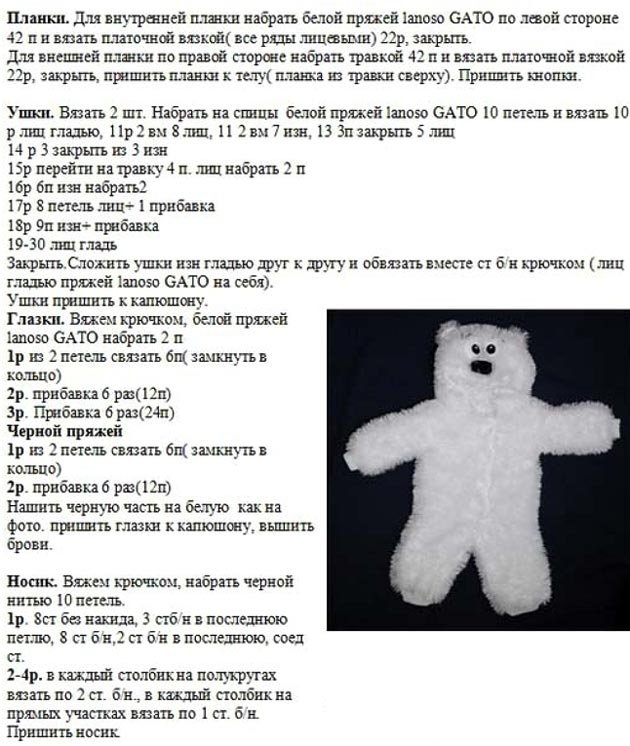 Recently, it is very fashionable to createNew Year's masterpieces with their own hands to use the shape of the Christmas tree - the brightest symbol of the holiday. 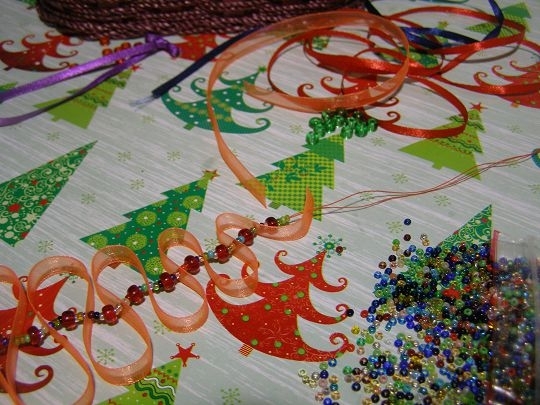 From what only materials do not make a Christmas tree! 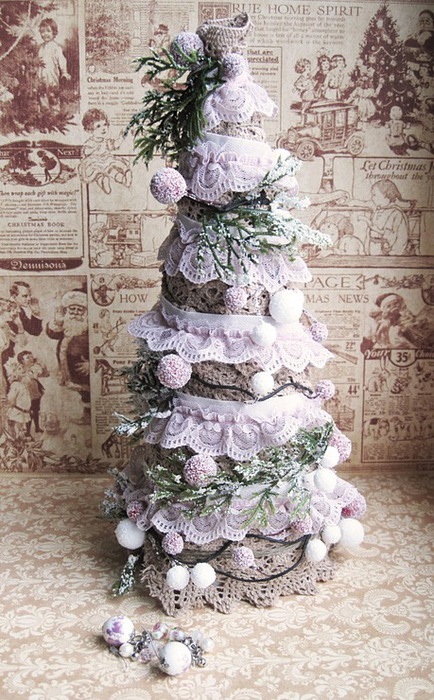 Already traditional are Christmas trees made of fabric. An interesting device is their creation not from a whole piece of matter, but from tapes: silk, kapron, lace. In some cases, paper tapes are used, they hold the form well. Winding: spiral or spiral. Large pieces of tapes are used, but their overall consumption is usually not large, since they are densely laid on the surface of the cone or with a small picking. Attaching a lot of small parts to the coneone form. It is the variety in the form that determines the style of the tree. 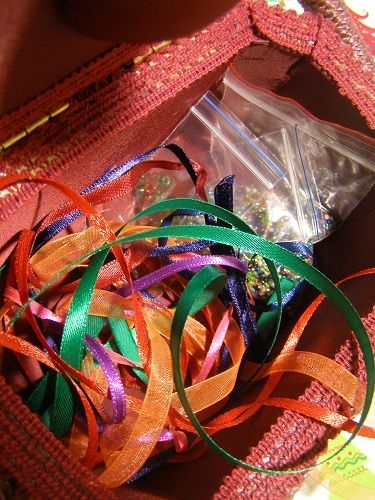 You can attach multi-colored simple loops, as if taken from the remnants of ribbons. 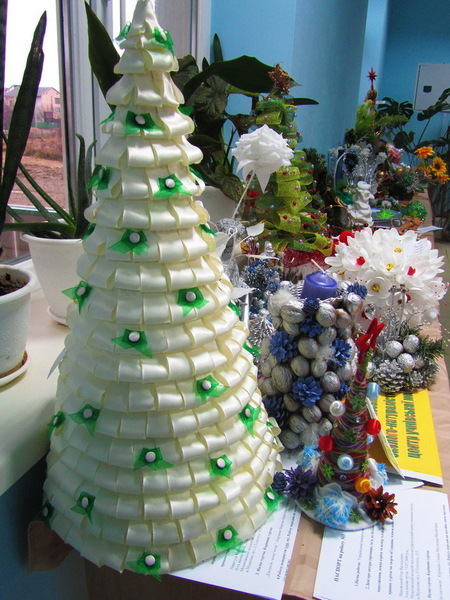 And you can make complex petals and roses with your own hands and fasten them to the base of the Christmas tree with pearl pins. 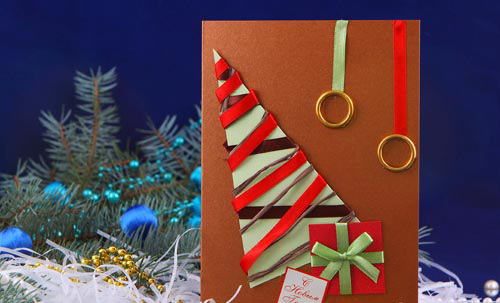 A good idea of ​​using Christmas trees from tapes thateasy to make by yourself - Christmas trees on postcards and gift boxes. 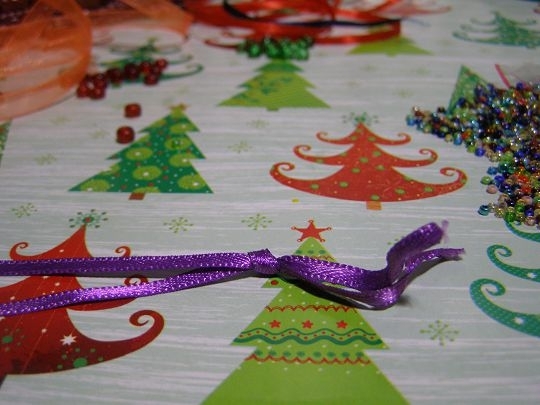 It is possible to wind a ribbon on a triangle made of cardboard or fabric, it is possible to fasten a ribbon zigzag with pins or glue on a flat surface. 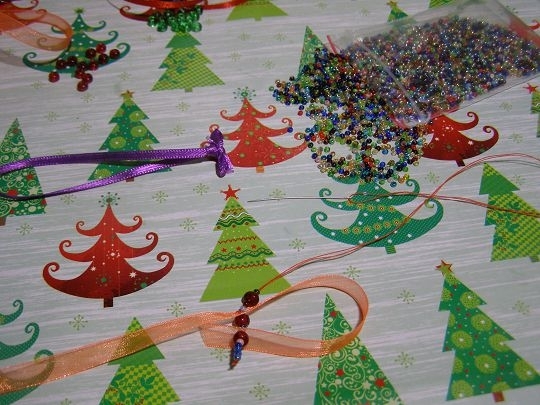 Silk or metallic glitter tape makes the packaging elegant and stylish. 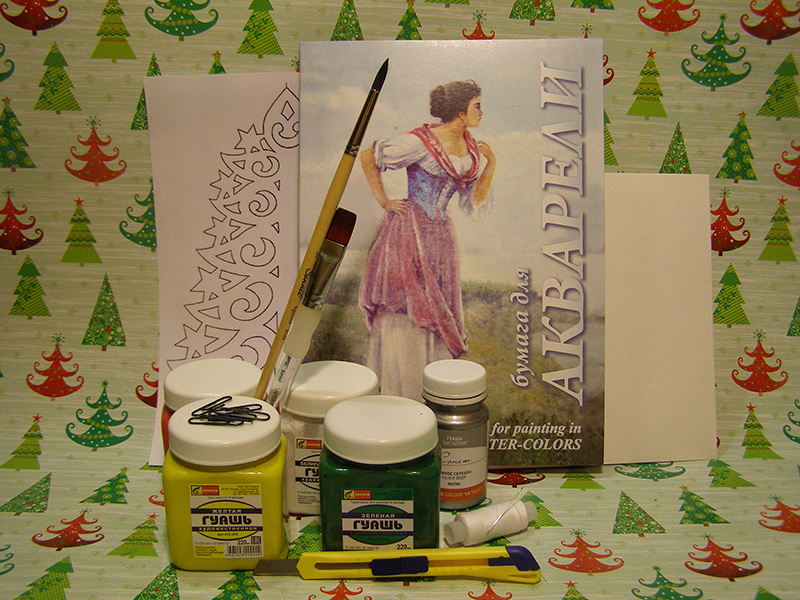 In addition, the triangle from it puts everyone's favorite Christmas tree accent on a gift or a postcard. 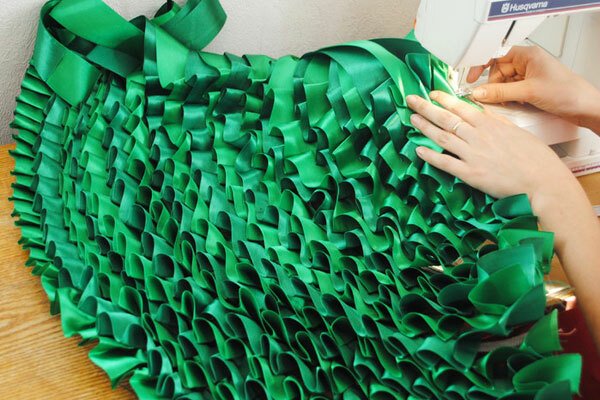 From the ribbons you can sew a tree on the wall. It is very convenient, if in a small room it is difficult to identify a corner for installing a regular Christmas tree. 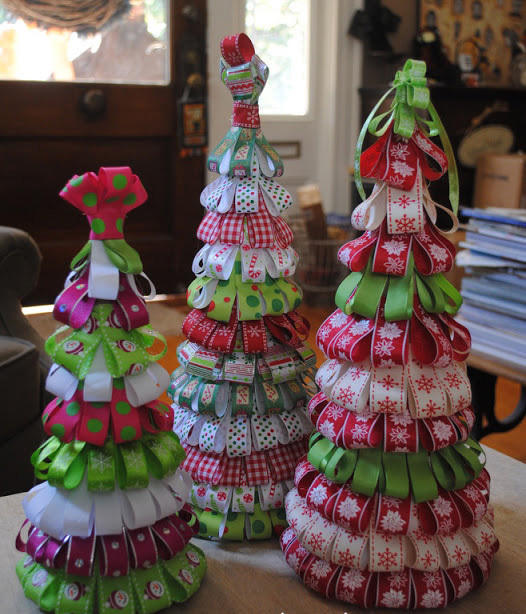 The Christmas tree, made of ribbons with their own hands, does not look so flat as the others. Assemblage, multilevel and satin shine create the effect of volume and splendor. 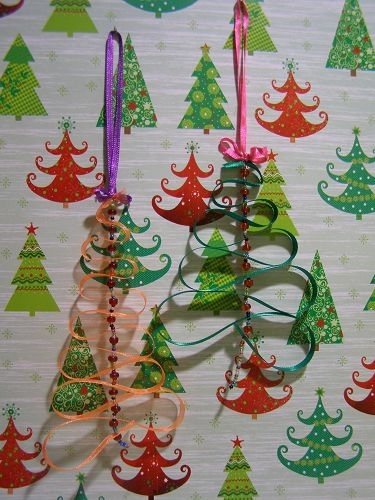 The most tiny Christmas trees with their own hands is most conveniently done from narrow ribbons. 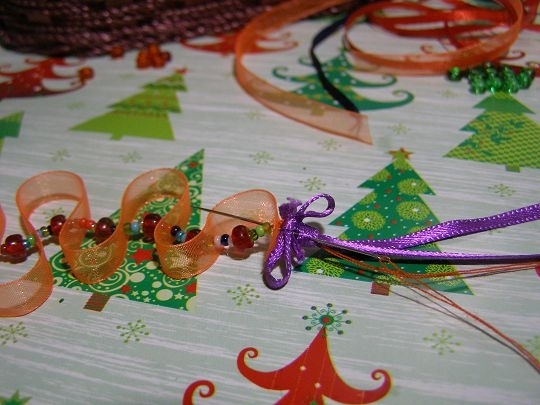 They are decorated with hair clips, bookmarks, mini-cards, business cards. It is in such nice details - perfection. 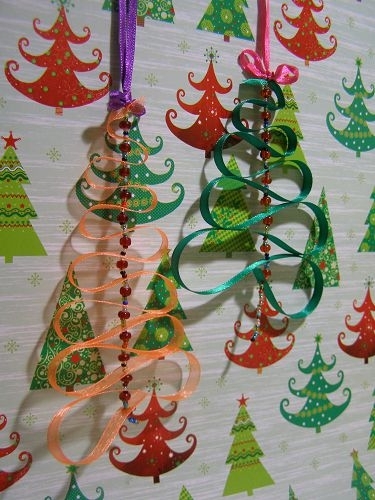 Another very simple version of the Christmas tree decor. 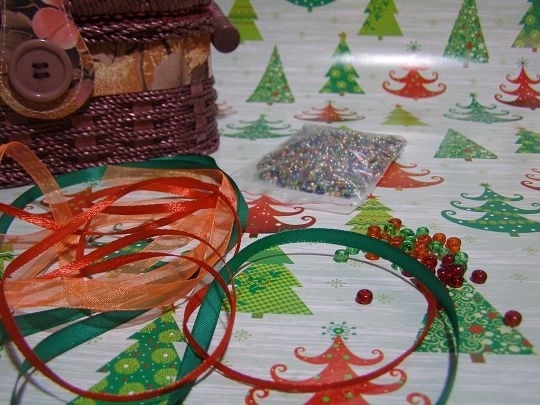 Even a child can cope with such work in a matter of minutes, so I recommend you to stock up with a lot of different ribbons and beads, these consumables for needlework are not at all expensive. Let's collect our own hands a lot of Christmas trees for decorationall that is possible: curtains, refrigerators, chandeliers, mirrors and just walls. In order to get bright and smart, it's good to buy materials, apply them to each other. 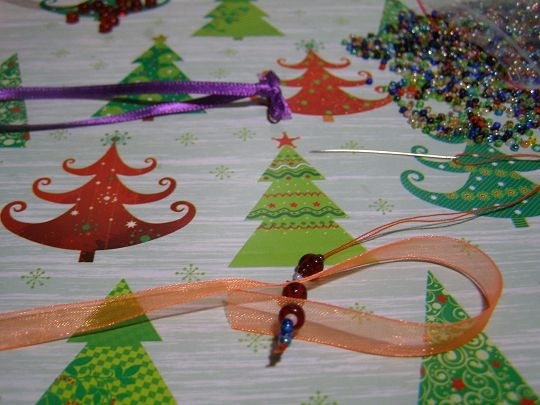 Beads and ribbons should be contrast. In my fir-trees I used beads as well. 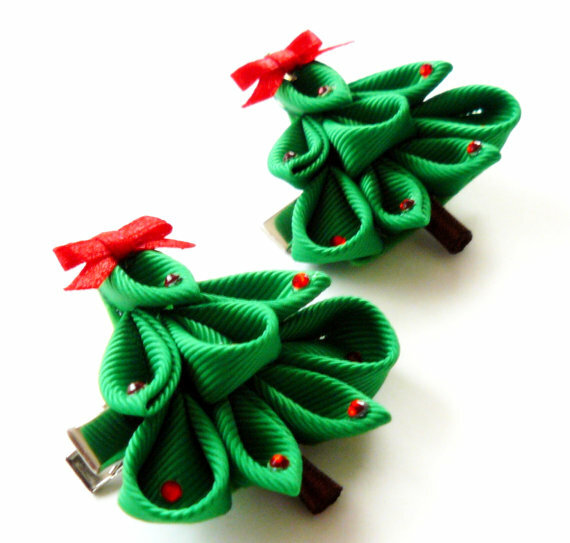 To create these trees themselves, we take a needle for beads, we tie a knot at the end of the thread, start to type. 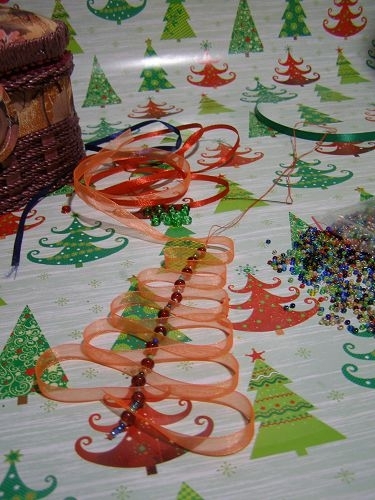 To hang the future tree with our own hands, we prepare a loop from a narrow ribbon of contrasting color. 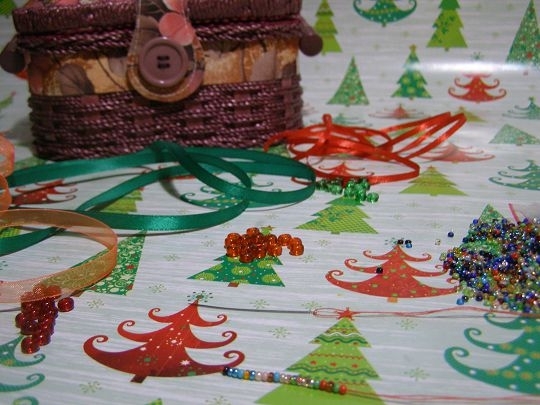 We collect beads, beads and tiers of tape from the bottom up. 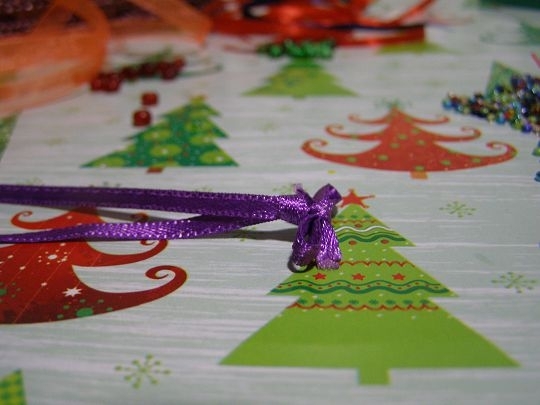 As you move, the ribbon hinges of the Christmas tree narrow. 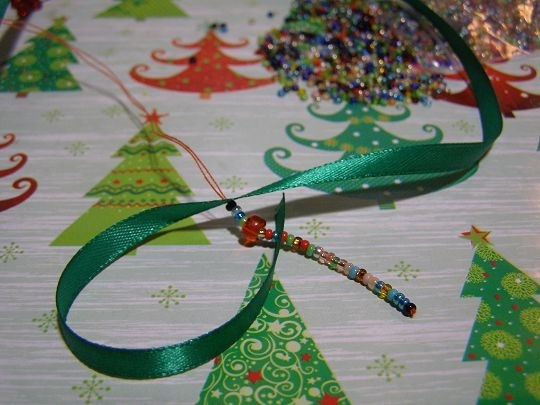 When the triangle of the Christmas tree is finished, cut the ribbon and sew the loop. Herringbone made by own hands, ready.